Join us to hear three centuries of love songs from Mozart, Bizet, Mahler and Rachmaninov to Bernstein, Rodgers and Hart, Judith Shatin and Lee Kesselman - and Ravel’s Kaddisch in memory of those lost in the Tree of Life tragedy. 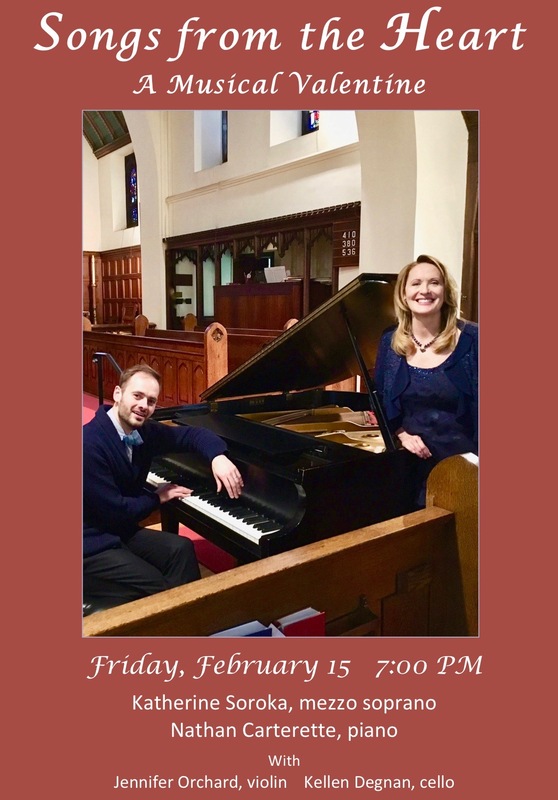 Katherine Soroka, mezzo soprano, and Nathan Carterette, piano, will perform with Jennifer Orchard, violin, and Kellen Degnan, cello. Nathan Carterette will perform Claude Debusssy, L’isle Joyeuse. Admission is free, and a reception follows!